Would you say that you have a “gummy” smile? Do your teeth appear to be short or stubby? As important as the teeth are to the appearance of your smile, the shape and size of your gum line matters just as much. 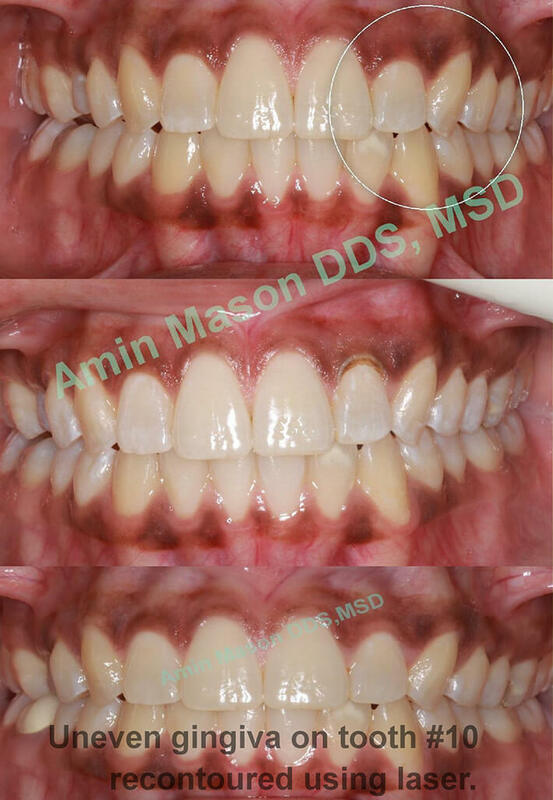 For people who have an excess of gum tissue that shows whenever they smile, Dr. Amin Mason can offer a quick and easy solution using a soft tissue diode laser. This device uses a narrow beam to light to gently removed and reshapes the gum tissue as needed. It can be used to give you that perfectly proportioned smile. Also, due to the precision of the laser, this treatment causes little to no pain, no bleeding occurs, and healing time is minimal. Thanks to Dr. Mason’s experience with this tool, he can also use it to uncover partially erupted teeth for bracket placement and even reshape uneven gum tissue. Are your gums affecting the appearance of your smile? Want that to change? If so, we can help, so please contact our office today for an appointment.